The double-hung window is the most common style of window available today. And the reason is simple: double-hung windows are easier to clean. Double-hung windows with tilt-in (also called tilt-out) design can be cleaned from inside the house. 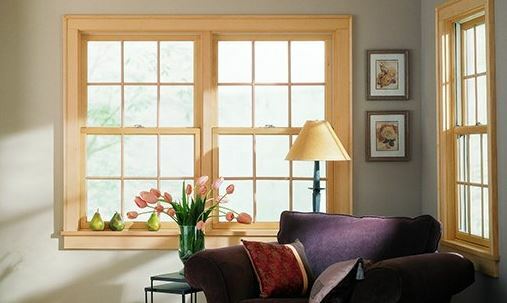 With single hung windows, it’s difficult or impossible to clean the outside of the lower sash from indoors. Beckworth LLC can help you with all your window installation and replacement needs. Double Hung Windows cost mot up front but end up being the same in the long run with maintenance. Installing double hung windows in your new or existing property has many advantages when it comes to energy efficiency. New double hung windows can drastically reduce heating and cooling costs due to increased energy efficiency. Double hung windows have an advantage for homeowners looking to install window AC units. Since the sashes move up and down, an air conditioner can easily be placed and secured in place in the window. Because the window sashes on double hung models move up and down, you have to put a screen on the window. Unlike awning or casement windows that open out, having a screen installed allows you to let a breeze in without bugs or other debris. Although double hung windows are initially more expensive than single hung windows, maintenance costs are about the same throughout the lifetime of the window. Double Hung Windows offer more ventilation than their single hung counterparts. That is just one of the features that make them the most common window style in today’s homes. In addition to offering maximum ventilation and light, these windows are among the safest as their sashes don’t swing out, allowing you to place them near sidewalks, patios, and decks without risking hitting someone when you open them. You can also lock them fully to enhance the security of your home. Finally, for homes with small children, double-hung windows’ top opening sash allows you to keep the lower sash closed, yet still have airflow coming through the open top. If you’re considering these windows for your home, call Beckworth for a free quote (703) 570-6777, or use our contact form. You can also find good resources on our Blog or Facebook page.